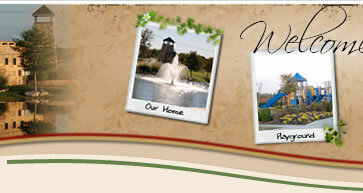 Welcome to Sendera Ranch Home Owners' Association website. 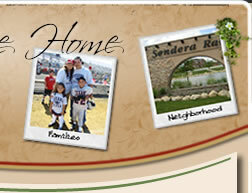 The purpose of this website is to provide valuable information for current and potentially new home residents of Sendera Ranch. We invite you to browse around and get to know why "the best begins here"
Pothole, Traffic Signal or Street Light Out? To request the use of the sports fields, please click here. 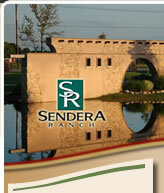 To enter the content in Sendera Ranch's HOA website, you will need to create a user log-in. If you are interested in becoming a committee member, the Landscape and Traffic/Safety committees are looking for you! Information on both committees can be found by clicking here. The application to sign up can be found here. April 26th we will be hosting our first Food Truck Friday of the season. Vendors are being secured as we speak, and advance notice with menus will be going out to the community. If you know anyone who would like to participate please be sure to let us know. May 25th is the first Movie Night in the Park of the season (weather permitting). Rain out dates will be scheduled for June 1st. June 15th is our second Movie Night in the Park. July 3rd is our Annual Fire Works Show. More details coming as event nears. The Sendera Ranch Semi Annual Garage Sale will be May 4 2019. More info will go out closer to the event.